A new chara I made for the sake of a story. She has been a competitive rival to Baylene in the MMA professional division, but Baybuns has recently retired and relinquished her title for reasons undisclosed. 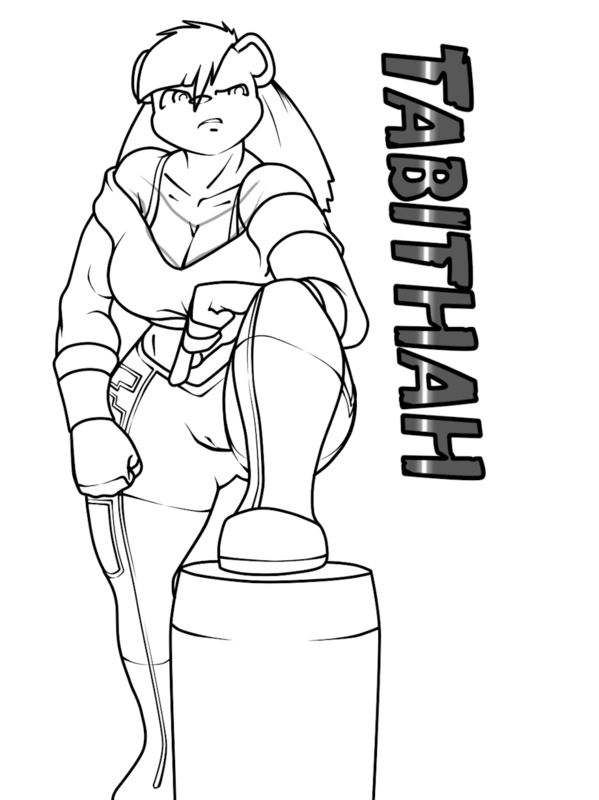 : ) Soon after, a new opponent provides Tabithah a challenge once again. She looks like a tall drink of water! Imagine her cuddling too. : > Would be tons more relaxing than a bed, heh. Thanks Nori.